Morning Report: Tax Gift Coming, Buy Stocks Now! Morning Coffee: Buy Financial Stocks! Markos N. Kaminis, a.k.a. "The Greek", is the Editor-in-Chief and contributing columnist for the widely syndicated blog he founded, Wall Street Greek. 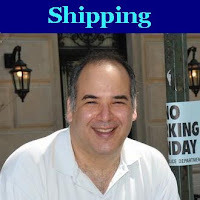 Mr. Kaminis also contributes regularly as a columnist to the well-known financial markets web site, SeekingAlpha.com, and to Greek News, a locally beloved and significant Greek/American news provider in the New York area. Mr. Kaminis also continues to produce original content on a freelance basis to select publishers. Before his column had grown so substantially, Mr. Kaminis also authored columns and articles for publications including Businessweek Online, Jim Cramer's RealMoney.com at TheStreet.com, MotleyFool.com, financial markets newsletters "The Outlook", "Equity Insights", "Emerging Opportunities", a Fidelity Investments' client newsletter and others. He has also served as Financial Editor and Operations Development Consultant at Newspapers.com. Markos' esteemed Wall Street career included seven years service as a sell-side analyst at Standard & Poor's. Markos held a special role as an idea generator, supporting the portfolios of institutional clients as well as playing a significant role in driving performance within S&P's recommended lists and portfolios. At times, Markos held responsibility for up to 10% of his firm's entire "Strong Buy" recommendation list. He followed a group of 30-40 Small and Mid-Cap firms and was charged with finding new buy and sell candidates, while given the special freedom to operate without restriction regarding industry or business sector. He also authored IPO research, produced content for S&P newsletters and edited the work of international analysts for such letters. Mr. Kaminis generated a 23% average annual return over five years on his "Strong Buy" recommendations, and 26% over three years ended 2004. He was ranked internally as the best "Strong Buy" stock-picker over the four-year period ended 2004 and second over five years, among a group of approximately 60 domestic and 90 global analysts. 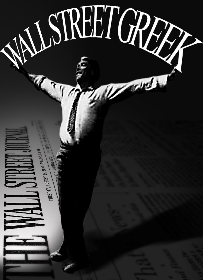 Mr. Kaminis is currently developing several web endeavors, and invites you to continue enjoying his insights at Wall Street Greek.